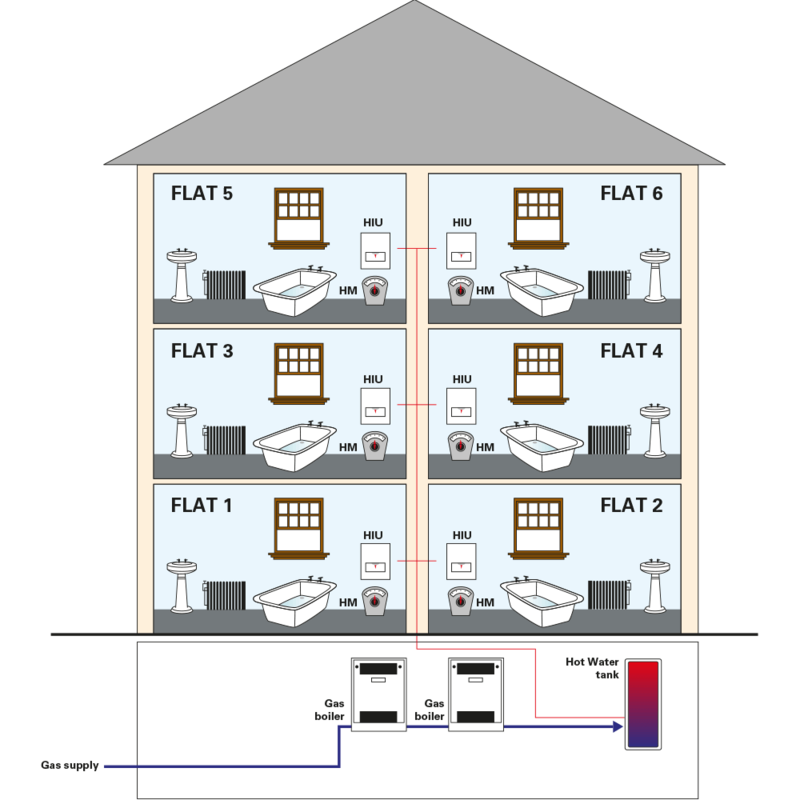 A heat network (also known as a communal or district heating system), provides heating and hot water to each home in a development from a single, central source such as a large boiler in a basement plant room. Your heat supplier manages the bulk energy supply (such as gas), to this plant room. The heat generated is then supplied to multiple homes in the same building through a network of pipes. This replaces the need for a boiler in each home. Instead of having an individual boiler, an HIU (Hydraulic Interface Unit) is installed in each home. This HIU transfers the heat from the pipe network into each home. A typical heat network consists of centralised gas boilers in a plant room; however, heat can also be provided by a combination of technologies including CHP engines (Combined Heat and Power), biomass boilers and heat pumps. Heat networks are becoming increasingly popular because it is more energy efficient to have one centralised source of heat rather than each home in a development having its own boiler or heater. Heat networks also allow for renewable and other low carbon technologies (such as biomass burners), to be combined in order to reduce carbon emissions associated with providing heating and hot water. These alternatives are far more environmentally sustainable methods of generating heat. 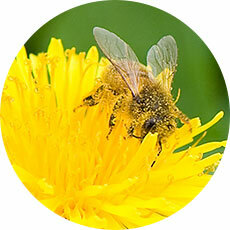 Building Regulations (Part L) 2013, Code for Sustainable Homes, Planning requirements, GLA – London Plan 2012. Heat networks make it much easier to provide heat using a wide range of low-carbon and renewable heat sources, such as Combined Heat and Power (CHP) or heat pumps. This helps to reduce the greenhouse gas emissions that contribute towards climate change. Heat networks tend to have significantly lower maintenance costs than an individual heating system and will also be much more reliable. 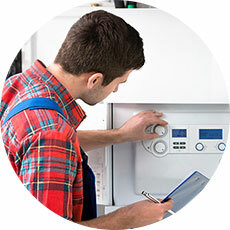 When an individual gas boiler breaks down, it can take several days to replace or fix it. However, a heat network is constantly monitored and so faults are spotted and fixed before they cause an interruption to the heat supply. As your heat network is centralised, the maintenance costs are generally much lower than maintaining your own individual boiler. Instead of paying for your own servicing and maintenance, your heat supplier will only charge you a percentage cost of maintaining the network. on your communal heating development?